I know we are right at the start of summer, but this "off-season" buy was too good not to post. Savvy parents will buy now and put it away as a gift for next year. Amazon has got the KidKraft Children's Menorah for $15.89 with free Prime shipping, the new lowest recorded Amazon price on this item (previous lowest price was $16.27). 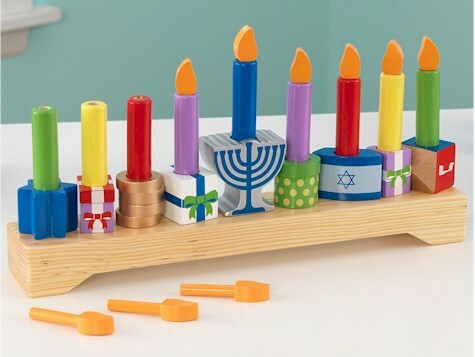 This KidKraft Menorah got 4.2 out of 5 stars over 13 customer reviews.